This series shows how to access MariaDB on NetBeans 8.2 using MySQL Connector/J 8.0 on Windows. 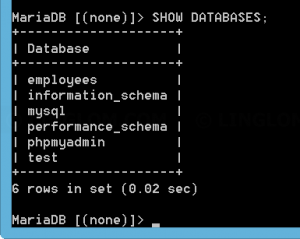 This part, which you’re reading, shows how to install sample database, Employees, on MariaDB. This part shows how to establish a connection between NetBeans and MariaDB. This part show how to perform basic operations from NetBeans to MariaDB. For instance, send querys as SELECT, INSERT, UPDATE to a database. In this post, I’ve just installed MariaDB 10.1.34 using XAMPP, but there isn’t any sample database installed so I will install sample Employees database before making connection from NetBeans. 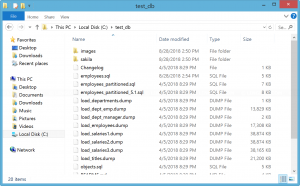 Extract zip file on the database server. 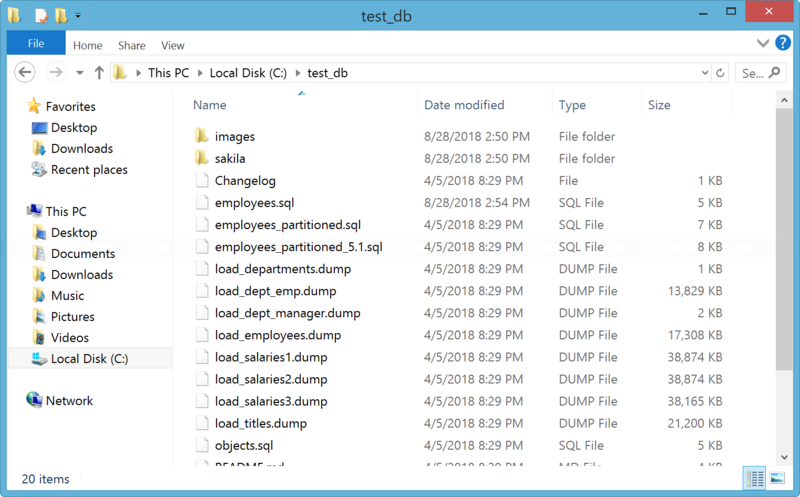 In this example, I extract to c:\test_db. c:\xampp\mysql\bin\mysql – replace this path to mysql executable if you have installed it in different folder. -u root – this is the username for logging-in to the database server. Enter password for the username and press Enter. If you typed the command correctly, you will see the output similar to this figure which indicates that it’s importing the sample database. Next, let’s create a new user and grant permission for the database. 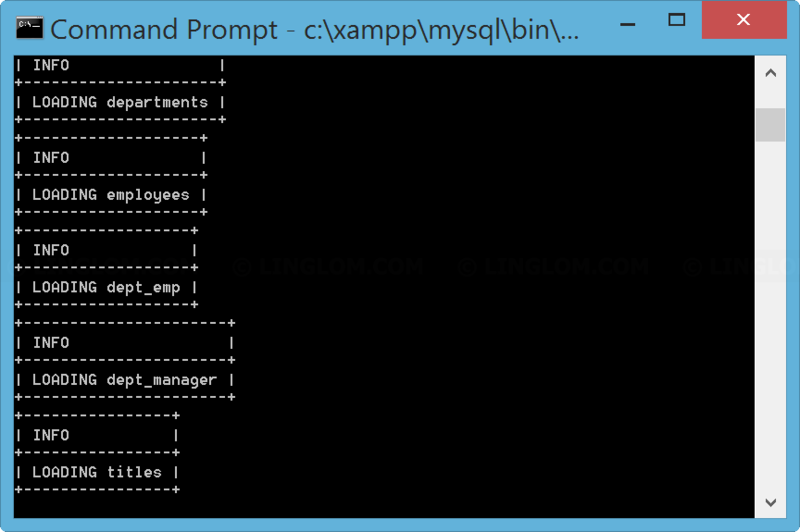 Login to mysql server by type this command. 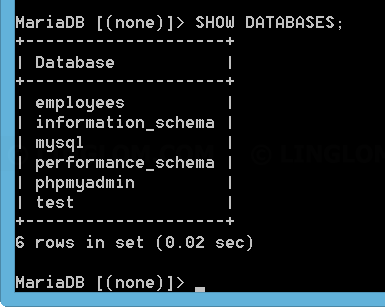 You should see text “MariaDB” at left if you have successfully login. Type this command to list all databases. You should have the database employees in the list. Create a new user “user_employees” with password “mypassword1234” with this command. Grant all permissions for “user_employees” to employees database by type this command. Now you’re ready to create connection from NetBeans, see Part 2: Create a connection.